Gender reveal parties are all the rage lately for new parents. This guide will explain exactly what a gender reveal party is, and how to throw one that your friends and family will never forget. Is it a boy or a girl!? Congratulations on being pregnant! Have you decided to find out whether you’re pregnant with a baby boy and girl? You have joined the majority of soon-to-be parents who decide they want to know the gender of the fetus before it’s born. In fact, 58 percent of parents want to know the gender, according to a 2001 study. Now you have discovered the gender of your unborn child, what’s next? You’re probably really excited to share the exciting news about the gender with your friends and family. That’s why the newest trend of the gender reveal party has emerged as a popular phenomenon among Moms and Dads about to become parents. 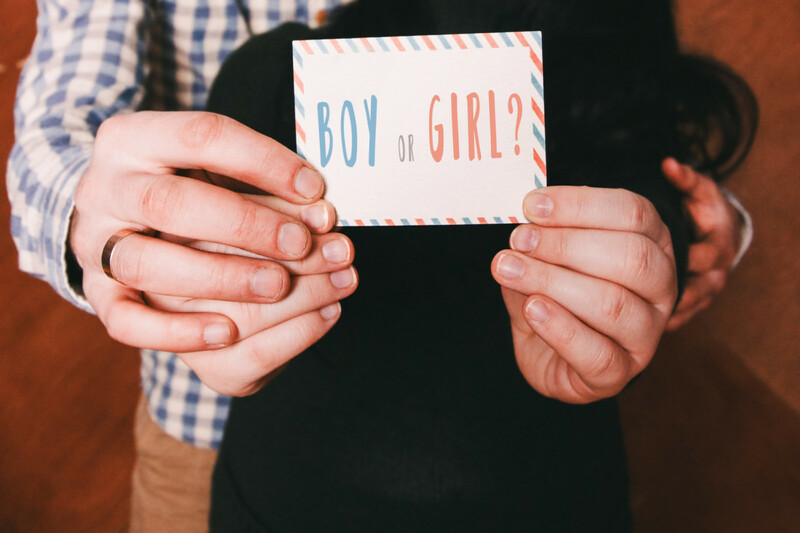 Keep reading to find out more about what a gender reveal party is, and how to throw one that your friends and family will never forget. The gender reveal party is a celebration in which the guests, made up of family and friends (and sometimes the parents), discover the gender of the baby. It’s pretty similar to the traditional baby shower. But unlike the baby shower event, the gender reveal party is open to men and women (rather than exclusively women). It’s also held much earlier in the early-to-mid period of your second trimester of a woman’s pregnancy. Find out more about more about what happens in the first trimester with our blog. The special moment in which the baby’s gender is disclosed is celebrated in a number of ways. This includes everything from the cutting of a cake or a popping of a balloon. According to the Huffington Post, there has been an increase of over 60 percent in views of gender reveal party videos on Youtube between 2016 and 2017. There are also similar trends that have been identified in other social media platforms, including Pinterest, Facebook, and Instagram. It’s important to select a theme for your gender reveal party that reflects you and your partner’s personality. The theme is really important because it determines how you design everything from the invitations to the catering. As with any party, you need to select a date and venue for your gender reveal party. You want the occasion to fall somewhere around your second trimester (approximately around the 20-week mark). Of course, what’s important is that you have visited the hospital for your ultrasound in which they provide you with the information about the gender of your expectant baby. Don’t forget that you may want to wait to find out the gender of your baby at the same time as your friends. It’s up to you whether you want to be part of the surprise or not. If you want to hide the gender from yourself, you’ll need to pass on the party organizing duties to someone else. If you want to be part of the surprise, you need to request the sonographer to write down the gender of the baby on a piece of paper, rather than announce it at the ultrasound. Then, you need to pass on the piece of paper to someone else to organize the party for you and everyone else. Lastly, you also need to pick a venue for the event. Most couples decide to hold the gender reveal party at their home. But you could also choose to hire a venue if you’re inviting a lot of guests. Now that you have picked your them and decided on your date and venue, it’s time to put together your invitations. Make sure you follow your chosen theme. This is another opportunity to get really creative and imaginative with the designing of your invites. Check out our selection of printable invitations. You can also design and make your own. There are many online tools for designing e-invitations via email or message too. You can also share your event with friends on Facebook and other social media websites. It’s important to send out your invites plenty of time in advance of the event. You need to send out your invitations between 4-6 weeks before the gender reveal party takes place. Most gender reveal ideas to concentrate on making use of the color blue for boys and pink for girls. Along with your above-chosen theme, you can cover your venue with decorations to get everyone in the mood and excited for the reveal. This is a great way to get people talking about whether they think it’ll be a little boy or a little girl. Are you going with Senorita and Senor theme? You can combine your decorations with game ideas. Include a pinata in the middle of the main venue room. You can fill the pinata with either blue or pink candy and confetti depending on whether you’re expecting a boy or girl. You can also include decorations and props that work with your theme. For example, you can include plastic mustaches and bright colored lipsticks around the venue for people to take a guess on the gender. You might have to get creative depending which kind of theme you go with. What are you going to do at the gender reveal party? A great way to pass the time and get your party guests enjoying themselves is by playing games. Keep reading for some more game ideas. Let your guests have a quick look at your ultrasound image. It’s not easy to know whether it’s a boy or girl without expertise. But you can get your guests to take a guess about the gender. Come up with some small prizes for the guests who guessed the right gender. Make sure every one of your guests knows the theme of your gender reveal party before they arrive. You can ask everyone to prepare a costume according to your chosen theme. The best-dressed guest can be rewarded for effort and imagination with a prize. There’s always someone who doesn’t put any effort in with the costume, make sure everyone knows who didn’t pull their weight. After the gender of your baby is revealed, you can ask your guests to write a note for the baby to read when he or she is older. Maybe this includes hopes or predictions, as well as advice and guidance. The notes can be sealed away in a special box and given to your child when he or she turns 16 or 18 years old. If you prefer, you could also record the messages on a camera, and simply show your child the future. This makes a wonderful game for the gender reveal party and an awesome gift for your all-grown-up baby. You can ask your guests to dress in the color blue if they think it’s a boy. And pink if they predict it’s a girl. After the gender of the baby is revealed, you can give prizes to the guests who guessed correctly. You also give special prizes to the best-dressed guests. Don’t allow any guests to get away with wearing a mixture of pink and blue to hedge their bets. And definitely, don’t excuse anyone wearing purple. Before you know it, it’s time to reveal the gender of your baby child. It’s always difficult for parents to hide the real gender of the baby. But this is the moment we’ve all been waiting for. There a plenty of creative and wonderful ways to make the moment special. With a black balloon filled with pink or blue confetti, you can pop the balloon and reveal the gender. Another twist of the balloon surprise, you can fill a great big box with either blue or pink helium-filled balloons. As you open the lid of the box, the balloons will float out and reveal the gender. By combining the theme and game of Senorita and Senor, you can include a pinata with blue or pink candy, ribbons, and glitter. As your guests battle to break open the pinata, the gender of the baby will be revealed to everyone. Gift wrap a baby toy or item of clothing that reveals the gender of the baby. After wrapping the item in several layers of paper, you can start playing pass the parcel. Play the music as the guests pass around the parcel, while every now and then stopping the music for someone to unwrap a single layer of the parcel. At the final layer, the baby’s gender will be revealed. You can also come up with a prize for the guest with the parcel at the end. Are you a great baker of cakes? The classic gender reveal moment is the cutting of the cake. You can bring joy and wonder to your guests by baking a cake with either pink or blue filling. When you cut into the cake everyone will know whether you’re expecting a boy or a girl. If you’re not much of a baker, you can go with something more simple. For example, a set of cupcakes that reveal the gender with bite. You can order a cake to bake for you by a professional if you’re not confident with your baking skills. This way you avoid any of disasters of producing a purple cake. It’s always great to include thanks for coming note in the finishing touches to your event. This might include a small bag of candy with the color of your baby’s gender with a short note. People always appreciate it when you send them away from the party with a small gift of thanks for attending and sharing your special moment. After all, once your baby is born, these are the people that you need to rely on for support. By organizing a gender reveal party you get to share one of the most exciting and wonderful moments in the pregnancy with your close friends and family. But the organizing of the gender reveal party can be a lot of time and effort. That’s why we’re here to help you along the way as your #1 source of information, recipes and themes for everything gender reveal. To find out more about how to plan your gender reveal party, check out our website.